Br. Lorenzo Penalosa professed solemn vows as a Benedictine monk of Saint Meinrad Archabbey in a ceremony on August 15, 2018, in the Archabbey Church at St. Meinrad, IN. Br. Lorenzo, 27, is a native of the Philippines. He is a graduate of Ben Davis High School in Indianapolis and Marian University, Indianapolis, where he earned a bachelor’s degree in Catholic studies and history in 2012. He was a member of St. Joseph Parish. In May 2017, he graduated from Saint Meinrad Seminary and School of Theology with a Master of Divinity and a Baccalaureate in Sacred Theology. He has been serving as monastery guestmaster and as assistant to the director of the Institute for Priests and Presbyterates. Later this month, he begins graduate studies at the Pontifical Liturgical Institute of Sant’ Anselmo in Rome. 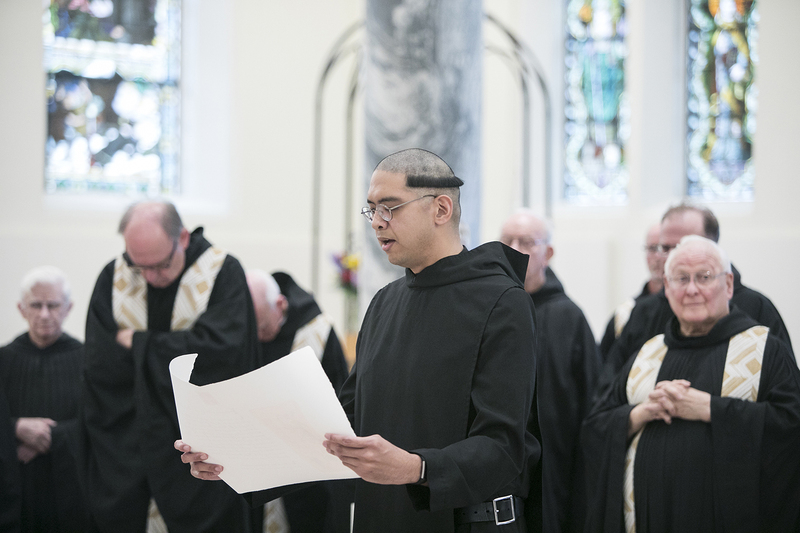 In professing solemn vows of obedience, fidelity to the monastic way of life and stability in the community at Saint Meinrad, he becomes a full and permanent member of the Benedictine community.